We know that 1 in every 2 of us is likely to be diagnosed with cancer at some point in our lives. 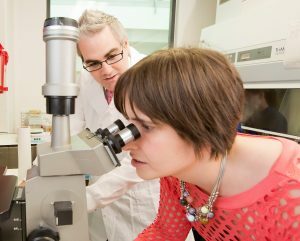 We have seen strides made in cancer research into new and better treatments and strong promotion of the early signs and symptoms of cancer leading to earlier diagnosis. 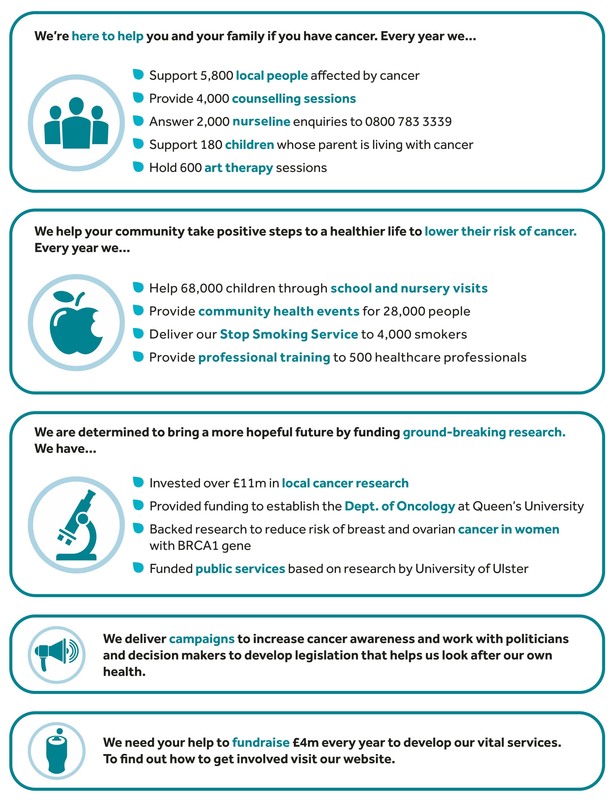 Both of these activities have contributed to a much better prognosis for cancer patients in Northern Ireland with more people going on to live full lives after their treatment has ended. This has led to greater demand for the services provided by Cancer Focus NI and we thank all of you who support us in helping raise the money we need year on year to help people when they need us.